It has been a long time since I wrote a post. School started several weeks ago, evidenced by the fact we just finished our first marking period. Thursday was our conference day, followed by a much needed compensation day. We condensed our conference scheduled from nine hours to six. It was like having drive-thru conferences. I still invited students to lead the conference using the outline I have used for several years. This was crazy, fast paced. 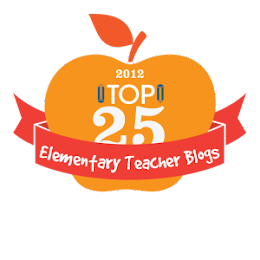 I saw parents of twenty-four of my twenty-five students during a ten minute conference scheduled twelve minutes apart. This included my new student, that I had for one week before the end of the marking period. I had also already met with them during a meeting two days earlier for a temporary placement. About half of my students came, with some staying home or watching younger siblings in the hall. A common theme during the conferences was how much the parents are struggling to grasp the "new" math presented in our patched together math program using Engage New York. We are going to look at some other programs, to see if we cannot find something that is student, parent, teacher, and budget friendly. I would love to know what math program you are using in your district to meet the rigorous demands required by high stakes testing, and whether you use Common Core. It's a warm sunny Saturday. Can't believe it is May already. I have so much to do before June 10 and the last day of school. First thing, I want to link up with Farley's Currently Linky. Trying to get my daughter's laundry finished. She is packing for a job away from home. She leaves on Monday. 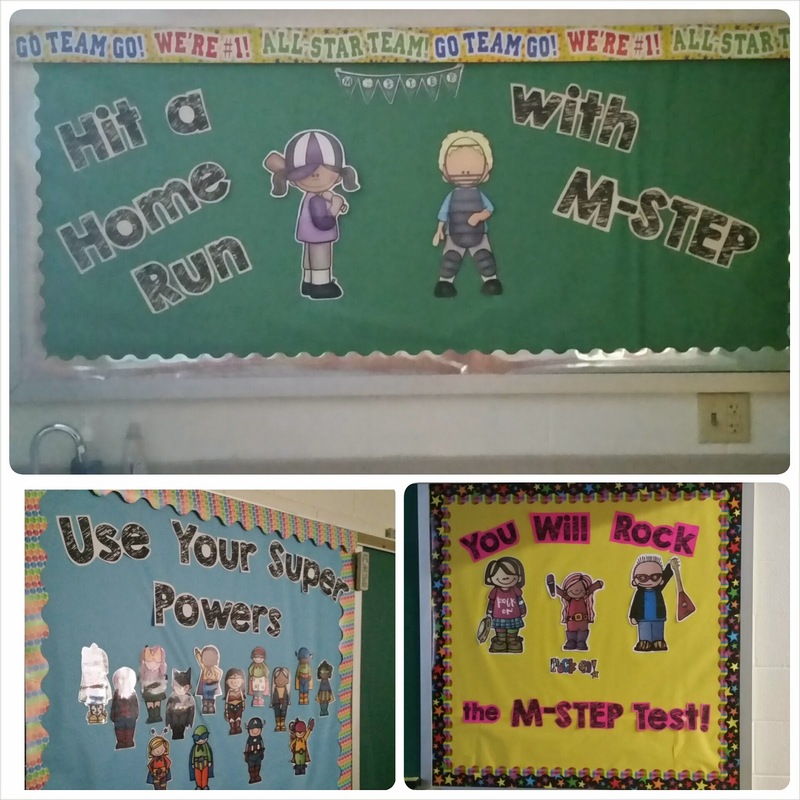 We finished our M-STEP tests this week. Now I have to finish teaching my curriculum and then do district assessment. There is so much to do before the end of the year. We don't get out until June 10. 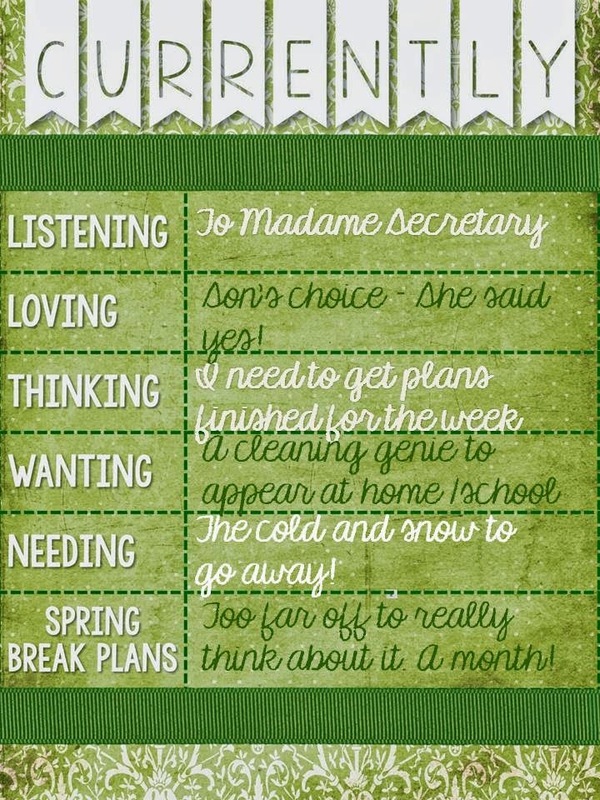 I have a final observation, a wedding shower in North Carolina, and so much more to do yet this month. Better get busy! I would love to sit outside a read a good book. It is going to be in 75 today. We have turned the corner to warmer weather for good, I hope. I am going to Jamaica in August for my son's wedding. I have only been outside the U.S. for Canada. I am looking forward to getting away and adding a daughter. I want to lose some weight before the wedding. Walking is therapeutic for me, so that should help with my weight loss and the relaxation part. Standardized Testing stressing you and your students out? I can relate. When Michigan decided to switch to Smarter Balanced testing and Common Core, I was all for it in theory. I welcomed starting each new school year without mandated review made necessary by the summer slide. Then the state decided to switch gears. We would still be doing a spring electronic standardized test, only now it would be the M-STEP. One thing I did not like was that our fifth grade testing window started the day after spring break. We had a three week window. Today is the last day for fifth grade testing and make-ups. I wish I could say the testing sessions went well, and were event free. Unfortunately, there were many woes. Technology malfunctions, problems with student directions, and so forth. 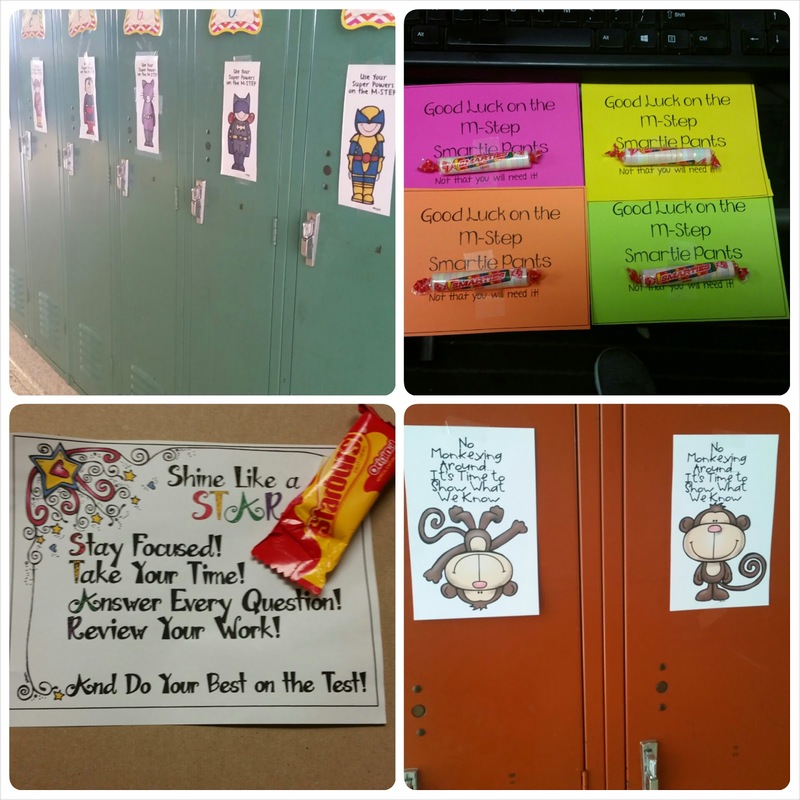 Students and teachers were stressed before the tests began. To help motivate students, I made bulletin boards using Melon Headz and Educlips clip art. My friends stayed after school to help choose the clip art. They then gave up recess to cut the laminated pieces. I made locker tags for my students. I knew my neighbor purchased my Rock the Test tags I made last year, I didn't want a group to be left out, so I made their class tags as well. 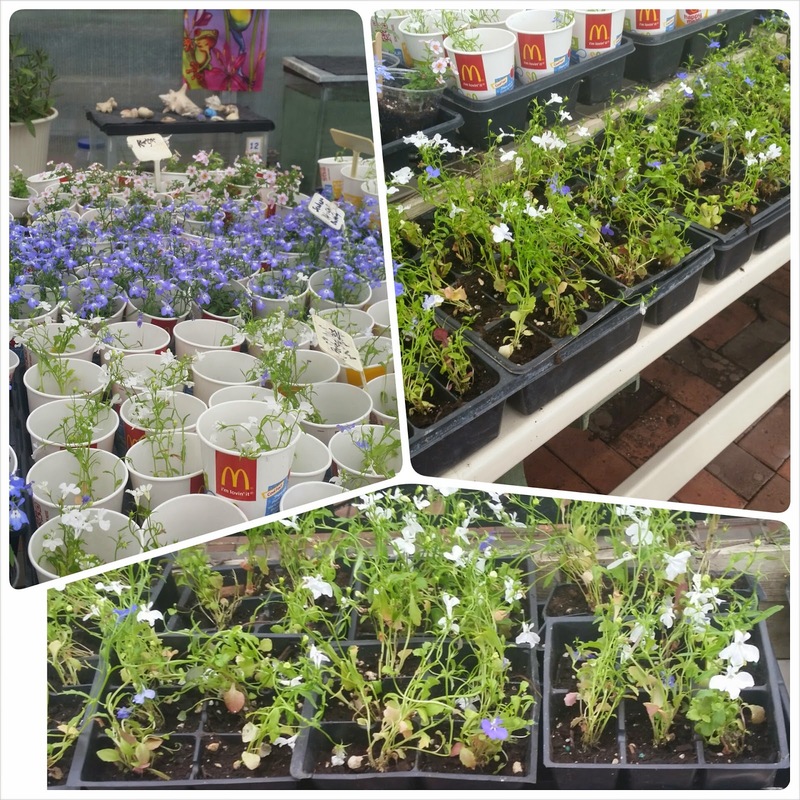 When we needed a distraction from the testing sessions, we planted flowers for our service learning project and Mother’s Day. We grow them in our life lab. Students are learning about the Oregon Trail and Western Expansion in social studies. They are doing a simulation. They earn “money” for supplies by bringing in Box Tops for Education, doing homework, etc. 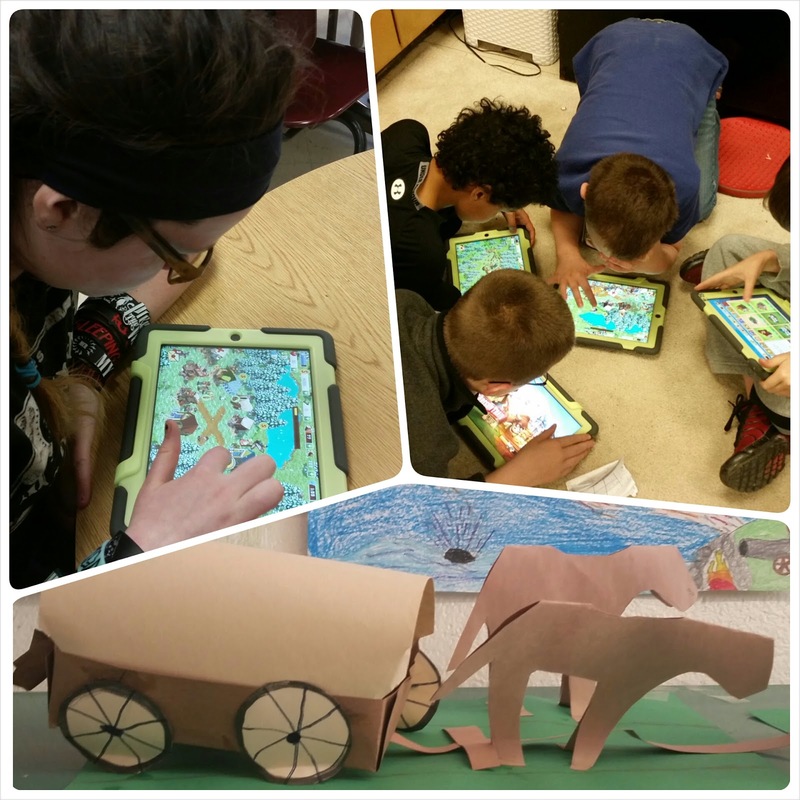 To add a little more interest, students played Oregon Settler on the iPad. We also blogged and sent messages to a former classmate. The best stress reliever came with our walks. We participate in the Walking Classroom. 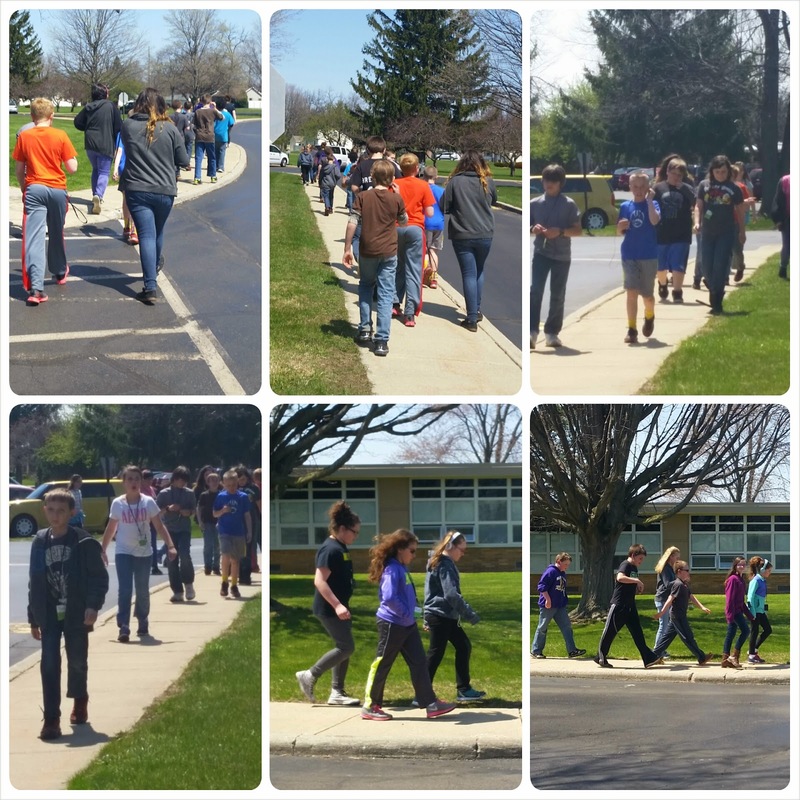 After testing last week, the students begged to get outside for a walk. The weather was perfect for walks. On Friday, we listened to a podcast on trickster stories. The students loved the break from testing, and enjoyed the presentation. We had read about “Bear and Fox” in our anthology recently, so they were interested in hearing the podcast’s version of the story. With stress from the testing, many students are struggling with behavior and mean behaviors. I liked how Laura Fenn and her students equated the trickster stories with bullying. It was a message my kids needed to hear. With our first year of M-STEP behind us, I am thinking about what I will do differently next year. I would love to hear how you prepare students for the stress of testing, and how you relieve the stress. I had the best intentions with this blog. Unfortunately somewhere between the start of school, and today (our last state test day) life, common core, everything, and anything has gotten in the way! I am hoping now that our state test is finished, I will be able to return to a sense of normalcy. Maybe I will even be able to blog a little more often. 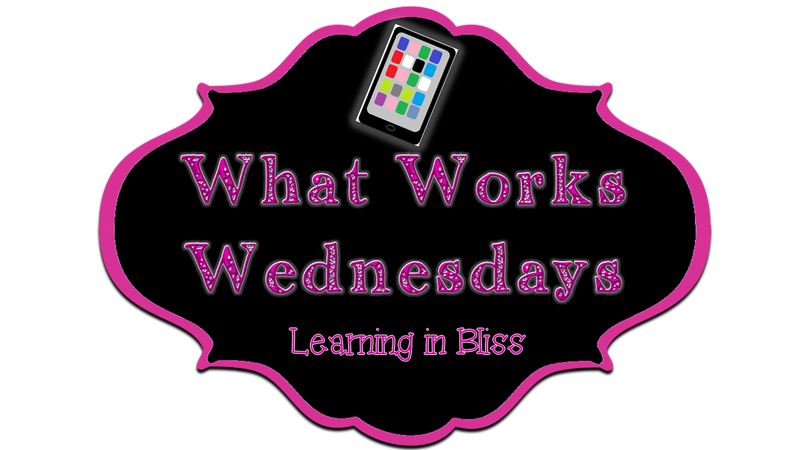 Since today is a Wednesday, I thought I would revisit a previous topic for What Works Wednesday. Previously, I wrote about Bouncy Bands. Scott Ertl, Bouncy Bands CEO sent me the original bouncy bands, which consisted of recycled bicycle inner tubes and PVC pipe to go on the legs of desks. After lots of feedback, he started using fasteners to form loops, since it was difficult to tie the tubes to the desk. Later, the company switched to a rubber bungee cord with fasteners. 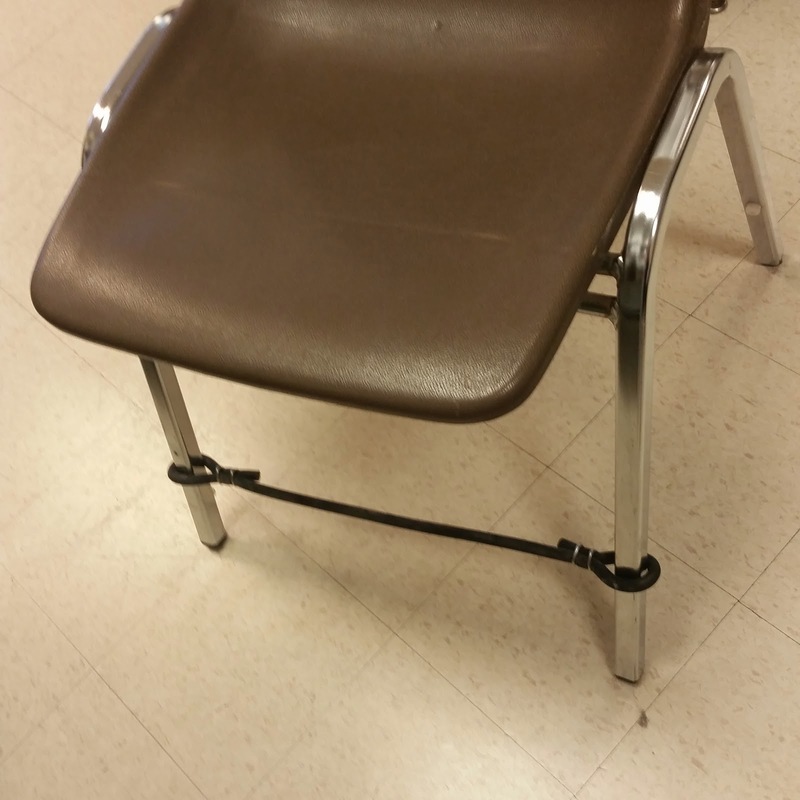 Last year, my students fought over the desk that had the Bouncy Band (I had mostly tables). I was able to stretch a band to fit the end of a table, but the table shook too much. I loved the bouncy bands, but this year I loaned them to colleagues that had sets of desks. It was a better use for them. Scott recently contacted my about the improved bands with better fasteners on the cords. He also had a new sample for me to try, Bouncy Bands for chairs. Scott sent me two sets of the improved bands, one for a desk and the other for a chair. 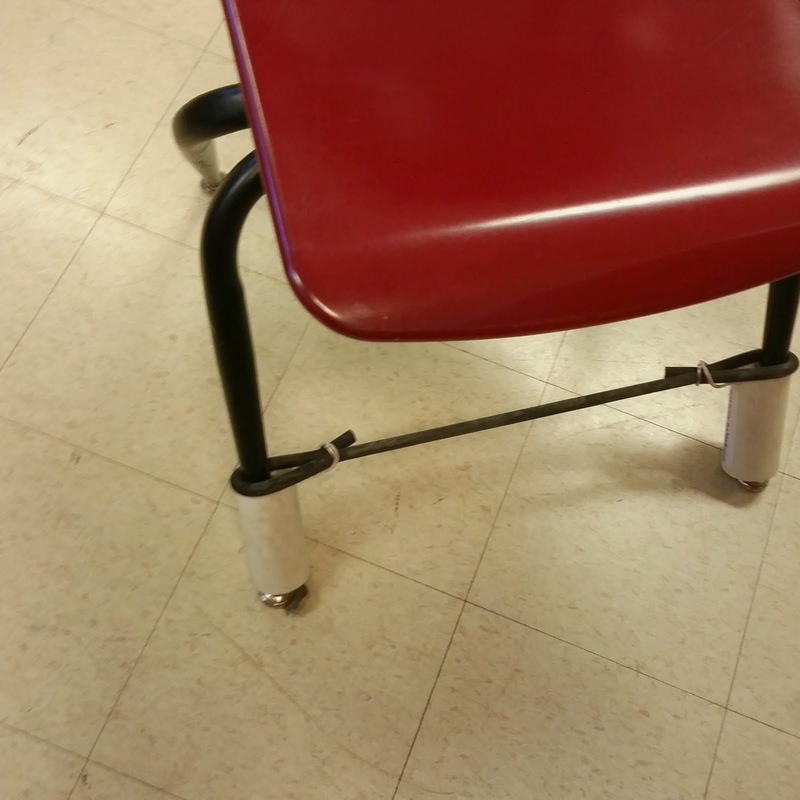 I have a chair that has pegs on the legs, so I was able to use both sets on chairs. J With tables, this is the best solution for my classroom. The bouncy bands for chairs were a big hit. My students love that they can bounce their feet while keeping the table still. I love that I have been able to share my other sets with colleagues. More students have the opportunity to use the Bouncy Bands. Our occupational therapist has borrowed sets, and encouraged other teachers to try them. She is looking into a grant to fund multiple sets for our school and a neighboring district. The Creative Child Magazine featured Bouncy Bands as a 2014 Product of the Year. 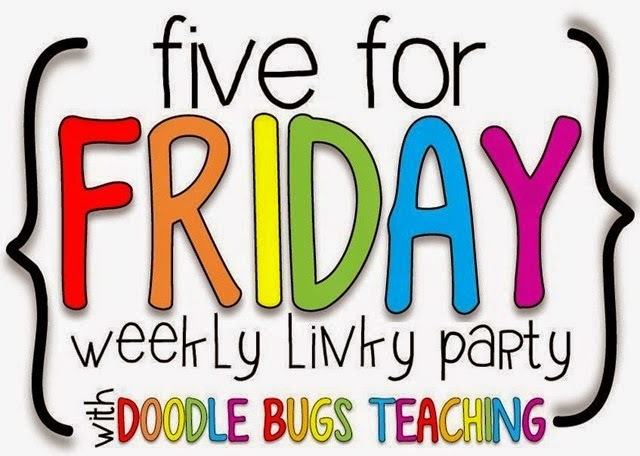 They are an inexpensive solution to those fidgety students that need to move. They can be purchased with funds from Donors Choose. Scott has helped even further by giving a link to a sample project page. Bouncy Bands are the What Works Wednesday product for this month. Give Bouncy Bands a try. Currently it is April 2nd. I didn't get home from a long day of conferences yesterday until after 9:00 last night. 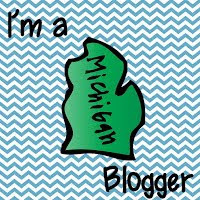 Blogging was the furthest thing from my brain after a draining day. I did want to see what Farley came up with for her last spot on the currently. She did not disappoint. How fun! After a very long month that included March is Reading Month activities, 5th Grade Outdoor Education (Camp), Project Unify activities, and a whole lot of test prep, I am spending the first day of an extended spring break (today was a comp day!) catching up on missed episodes of some of my favorite shows. Yesterday was a long day. We had conferences from 8 in the morning until 8 last night. We had time off for a soup and salad lunch from our PTO moms, and dinner. My dinner was a piece of pizza at a union executive board meeting. Some great conferences, some difficult ones. Glad they are over. Students get twelve days off and we get eleven days for break. I am staying home. Hubby doesn't have vacation and the youngest had her break three weeks ago. I hoped to get a long walk in today in warm weather, but the rain kept me inside. It is warm, but very wet. Snow is forecast for tomorrow night. That is Michigan weather for you. I am looking forward to some long lasting warm weather. The students have passed flu and viruses around forever! I want them to get outside to play. I need to open windows and get some fresh air into the room. Hopefully April will bring better weather. I have several projects planned. Some are for school, some are for home. Hope I can get them done without running out of time and energy. 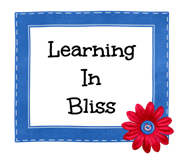 My blog's name "Learning in Bliss" got its name from the fact that I am a lifelong learner. I try hard to keep a blissful environment in my classroom. My school is located at the edge of a small town that takes great pride in being a blissful place to live and learn. What is currently happening in your life? In this week's installment of What Works Wednesday, I thought I would discuss computer apps and programs I use with my in-flipping. All of my students do not have technology at home. Instead of flipping my classroom, I started to in-flip the room. I use video and apps to free me up to give more individual instruction. 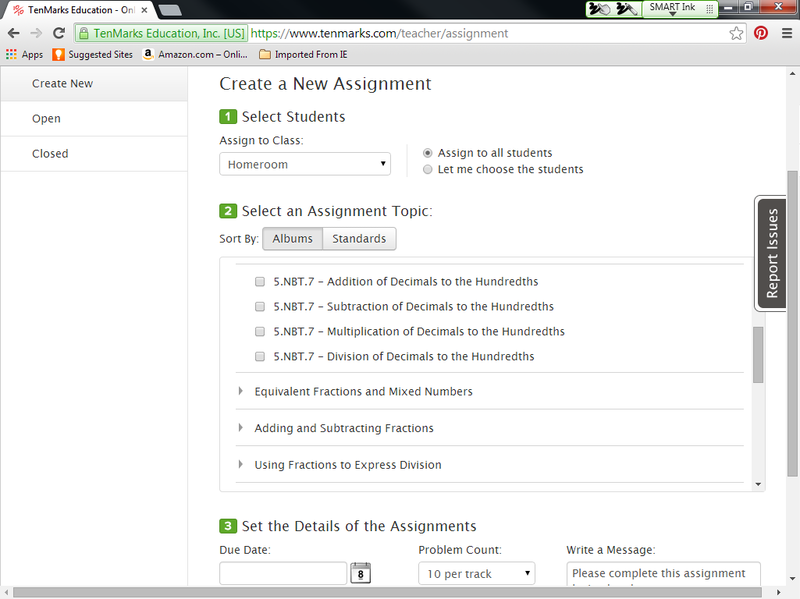 One of those apps/websites that I really like is Edmodo. Edmodo is a free website and app. 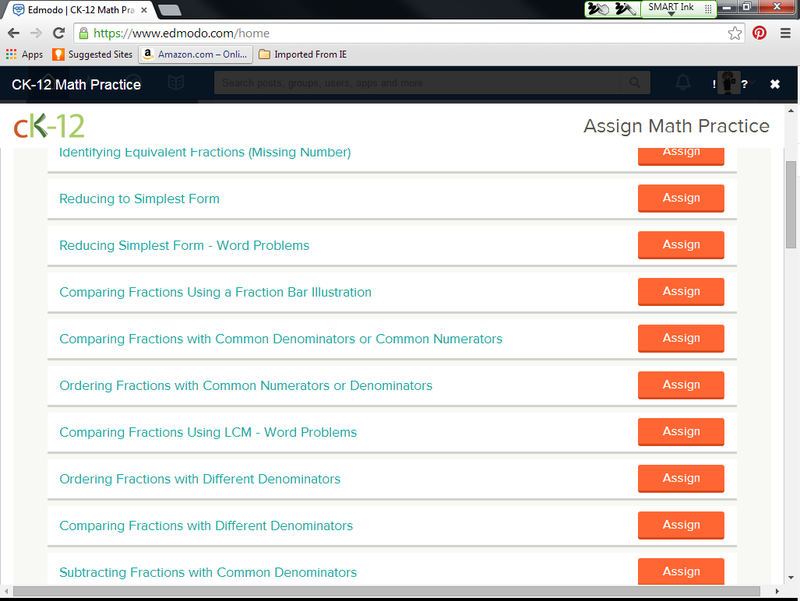 I like that I can load individual and group lessons for the class or small groups. You do not need individual email addresses for students. When you sign up and claim your school, it allows you to use Snapshot. Snapshot is a quick pretest on a set of skills. In a "Snapshot" you see at grade level, behind, and intervention students identified. You can either assign a skill from the results, or use other apps within Edmodo to address weaknesses. I started my in-flip and pretests with math. I have three math groups, but could have four. Two students are above grade level, but need hand-holding to get them through lessons. The next is at grade level. Another is at grade level, but struggles (my inclusion and RTI students). The third group is one student working at late first/early second grade level. If I could squeeze out a few more minutes, I would split the struggling group into two groups and have one leave the fifth grade material for fourth grade skills. I just cannot seem to be able to make the move. My in-flipping is at least allowing me more time to work with students that are not "getting it". In a perfect world, every student would get quality teacher time each day. In my world, the struggling get the most. I individualize the single student, and cheer on the top two students as they watch a power point. I cannot get videos made for each group. Not.enough.time.in.my.day! I use Voki Presenter ($29.95) to make my instruction videos. The kids like that the avatar I use is an improved version of me. They are begging to teach a lesson themselves, using their own Voki. Voki is like having 25 clones of me. Unfortunately, the Voki cannot answer questions they may have. After the Voki lesson, students may have task cards, a practice worksheet, or an online lesson. My students like the improved Mrs. H provided by the Voki avatar, but also love having a dog, of famous person teach their lesson for the day. Their curiosity gets them to want to see the lesson just to see who the guest teacher is for the day. A few students are giving up recess time to record the voice portion for a lesson their Voki will teach. As a note: if you use iPads for your in-flipping, you need a browser like Puffin that allows for Flash. Puffin is free, but I still need to download it on our grade level iPads. Some of the Edmodo features works better with Puffin and Google Chrome. Edmodo has several apps you can add-on. CK-12 Math Practice is one I use for skill practice after my lesson. Yesterday, I used a math exit ticket to assess their ordering decimals knowledge. Today I assigned a Tenmarks lesson as a review of the skill for the students that scored earned a 1 or 2 out of the 3 questions on the exit ticket. Tenmarks is a free site. I assign a lesson with ten problems. 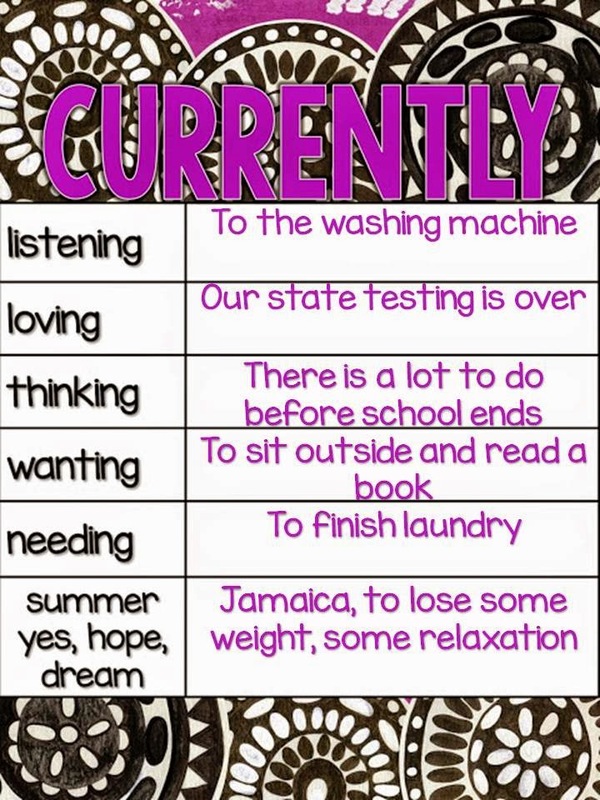 Students have three hints they can use. There is also a video clip. The site will read the problem for students by chosing the speaker icon. It is a great supplement to my lesson I have already taught. 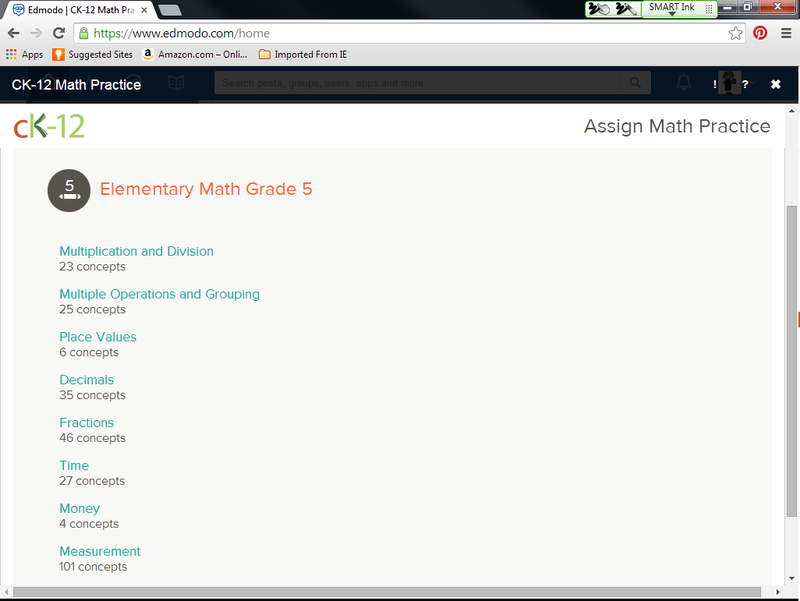 It also uses a format similar to our standardized test, where multiple answers might be correct. This is helpful practice with M-Step test scheduled for April. I hate the thought of having to teach to a test. In-flipping gives my students experiences that prepare them for the test, while covering my curriculum expectations. Reading math and solving math on a computer may be a difficult thing for some students. Do you do any flipping or in-flipping? I am just beginning to use this format. I like what I can do with it, but need more time in my days and nights to make the videos. With the weeks of cold, and the fact we haven't see grass in well over a month, March crept up slowly! I cannot believe it is March 1st already. This means it is also time for Farley's Currently. I like listening to television while I work on the computer. It usually doesn't matter what is on, just that it is on. Funny, when I work at school, I prefer silence. Maybe because it is usually noisy there. At home, the dog likes to sit at my feet or cuddle on the couch. The youngest is home, so the dog is with her tonight. My son and his girl friend recently announced their engagement. She compliments him. They are beginning plans for their wedding. Cannot wait for their visit in two weeks! My lesson plans need to be completed. So many extras to fit in before we go to camp in two weeks. I have a special guest coming this week, a PLC meeting during the day Wednesday, and a Mystery Skype this week. We also have a planned Fire Drill. Snow is still about a foot deep. That should be fun for the classes that go out side doors without sidewalks. Lol! Looking forward to it all, except the substitute plans for Wednesday morning. The house and my classrooms are both in desperate need of a good cleaning. That may be my Spring Break plans after all! I need to at least clean some before son's visit. We have had so many inside recess days, but only three snow days. The few inches of snow today won't keep us from school tomorrow. They are predicting snow, sleet, freezing rain, then rain for Tuesday. We will likely have school as it standardized testing for Juniors in Michigan. Also, our superintendent takes great pride in not cancelling school. Spring Break for me isn't until April 2nd. We have Parent Teacher Conferences all day on April 1st. It will be our longest spring break in my 32 years. With family all on different schedules, my break will be uneventful. I hope to get some cleaning, reading, and projects completed.